i dare not jinx it but it appears summer may have finally arrived here in the uk- hurrah! high on my 'to do' list is a trip to the seaside whilst this mini heatwave lasts. 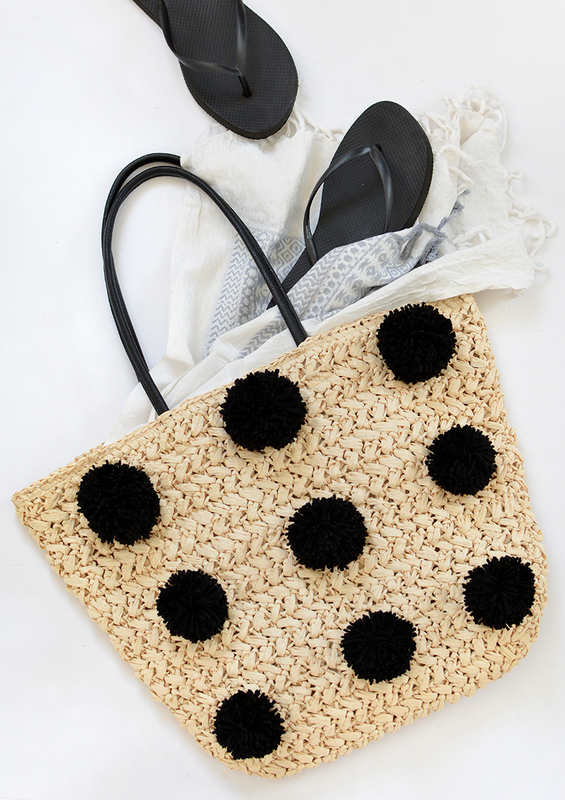 i'll need a cute little beach bag for the occasion... am i right? cue this little straw number! 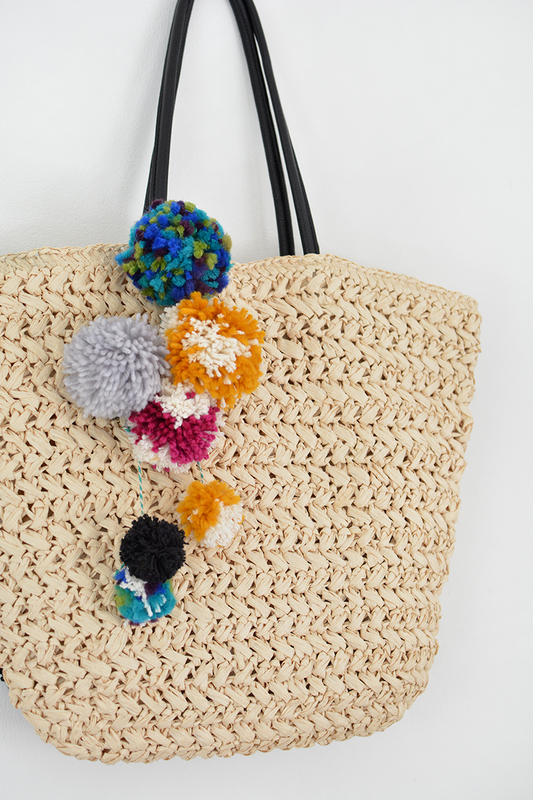 i picked up a plain bag in the h&m sale last week, it was screaming out for a few furry additions so i made a big batch of pom poms to decorate it. i got so carried away i made two versions that i wanted to share with you. 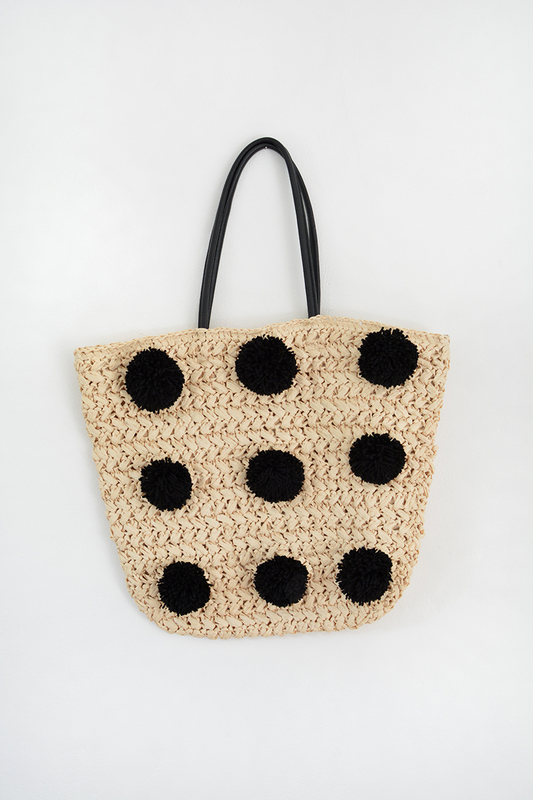 the first version is the simple black pom pom bag inspired by this monki bag i spied on asos. 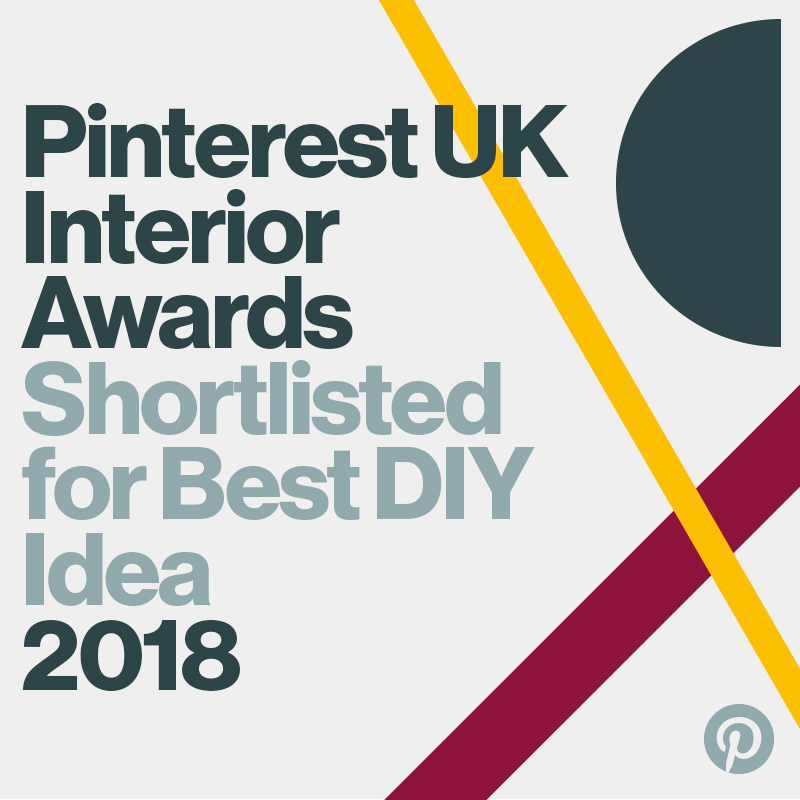 this is a really easy make! 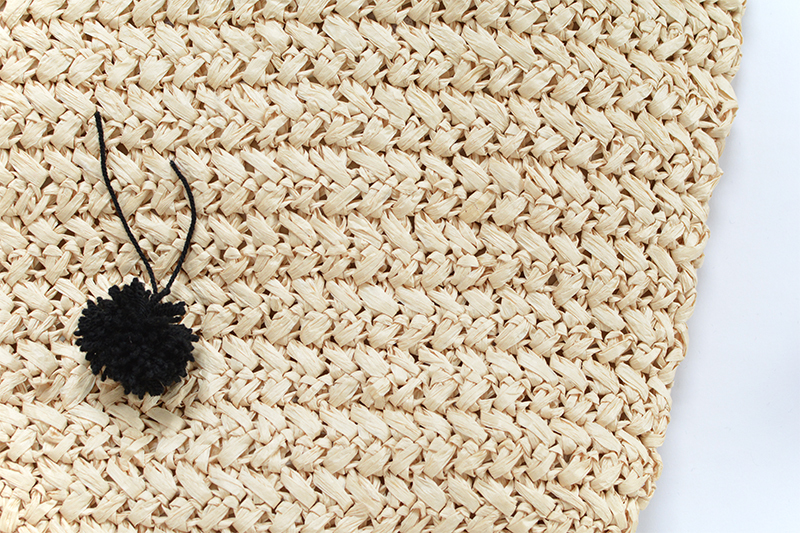 1. take some black wool and make a batch of pom poms using this easy tutorial. 3. feed the two long pieces of wool around a piece/row of straw and tie them in a knot to attach the poms poms to the bag. 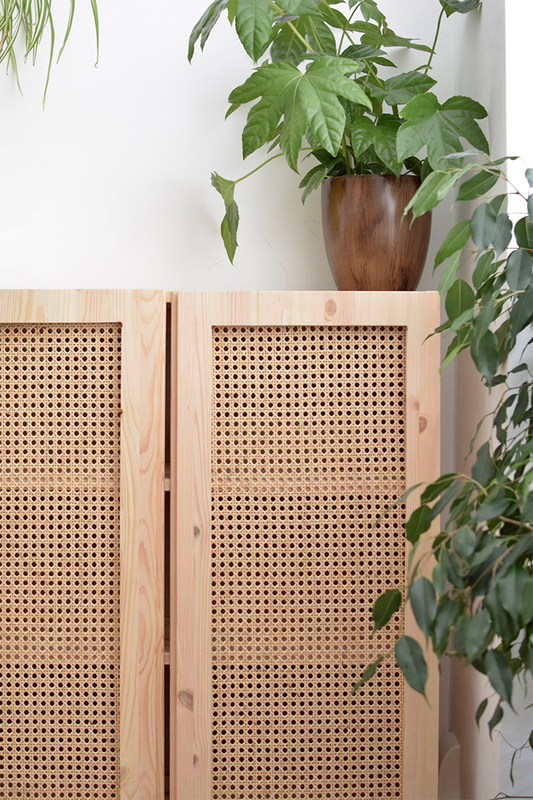 trim the excess and repeat for all pom poms. 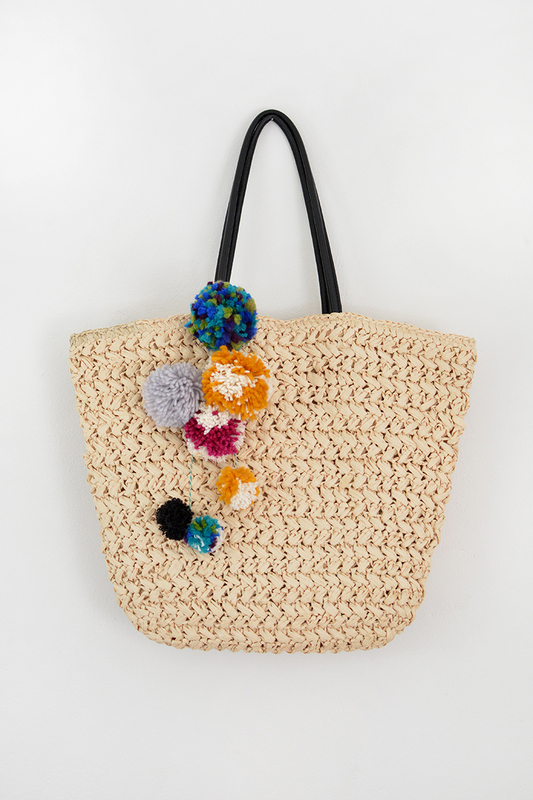 i love that's it's fun but still quite minimal for a pom pom bag! for the second bag i just went all out colourful! 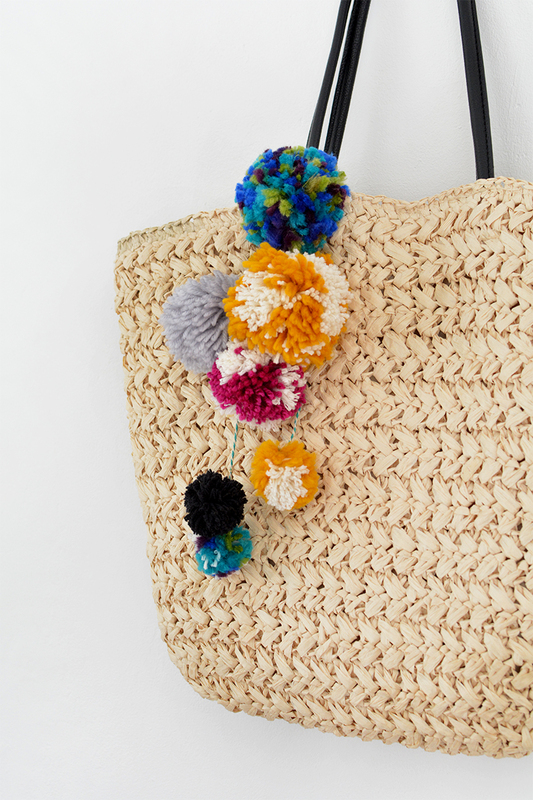 2. grab some fine string/coloured twine and a wool needle and thread the pom poms together. i hung my row of poms poms like a giant charm over the arm of my bag and secured them with a little knot. ...now i just need to get to the beach!